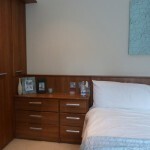 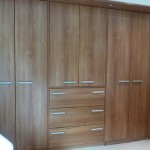 A matt finish walnut door with colour matched internal panels gives a quality feel to the bedroom. 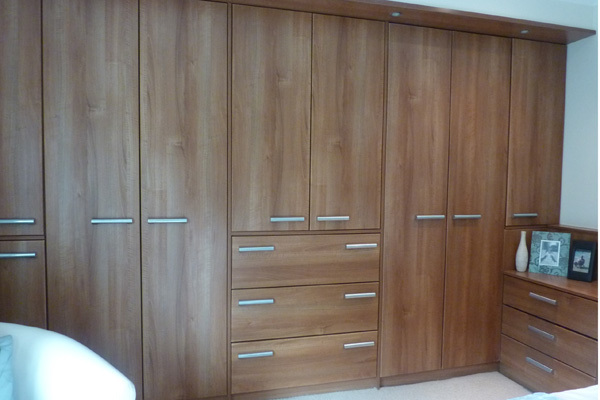 A run of wardrobes with lighting running across the pelmet, offers ambient lighting in the evening and can be turned on or off by switches on both sides of the bed. 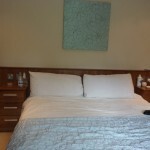 The bed base was built out of matching panels, with a memory foam mattress added to create comfort. 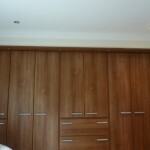 A matching dressing unit was also designed and built. 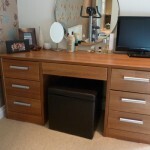 Timeless, functional and stylish too.